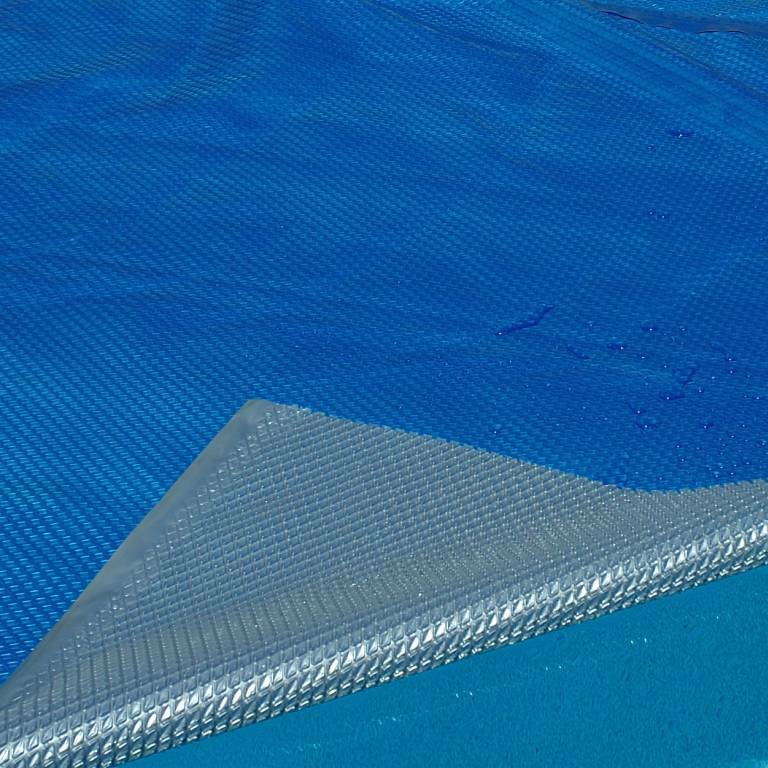 A 16ft x 36ft Space Age solar cover from BackyardCityPools.com is made of two layers of high density polyethylene film: The bright blue top surface absorbs the suns rays into the pool water, then the aluminized bubbles on the bottom reflects much of the heat normally lost back into the water. This results in quicker heat-ups and greater heat retention. 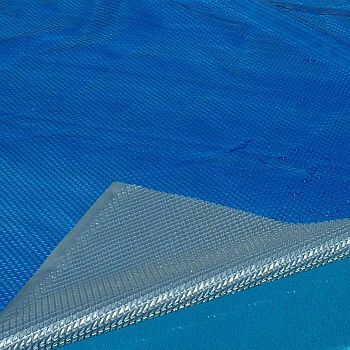 Solar Pool Covers are designed to heat during the day and insulate at night. If left on when the swimming pool is not in use during the day, the solar pool covers allow the sun's rays to pass through the bubbles to heat the pool water during the day. Leave the solar cover on at night and the bubbles act as an insulator minimizing heat loss. Our heavy mil solar pool covers use the sun's energy to give your heater time off and help slash fuel bills. They will raise your existing water temperature by 10 to 15 degrees while reducing evaporation of water and chemical consumption.